Oscilloscopes were once the reserve of scientists and physicists, measuring complex signals in research labs, pushing the boundaries in the quest of extending human knowledge! but, as we all know, the cost of sophisticated technology reduces over time such that things that were once horrendously expensive are now practically throw away! The consequence of this is that oscilloscopes are now relatively affordable as a general measuring device, and a particularly useful for electrical system diagnostics - they're almost down to the price of a really good multimeter, but just because they are within the grasp of the average 'technician in the street', does that mean it's worth digging deep to get your mitts on one? and even if you did, would you be able get any real benefit out if it. 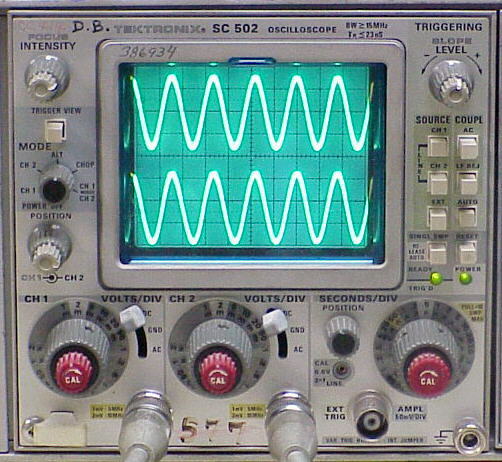 So, you've probably heard the term oscilloscope, but what are we actually talking about? Well, fundamentally, the 'scope' (as its very commonly known for short) is a voltmeter, however, the voltage displayed on a voltmeter is given as a reading, either via a needle on a scale, or as a discrete value. The reading given by a scope is via a curve, drawn on a display screen - so what? If the signal is displayed in this way, it means that fast moving changes can be displayed. Consider a signal in the form of a single voltage pulse, like a spike! If you looked at this signal on a digital multimeter, it probably wouldn't event register, looking via an analogue meter, you may, if you're lucky see the needle twitch. However, look at the signal on a properly set up scope and you will see much more of the detail, you'll see the profile of the signal shape, the rising and falling edges, you'll see the peak value, plus the duration of the pulse - so much, much more detail, you would miss all that with a meter. Of course for some signals, you don't need all that detail, generally, signals that a changing slowly over time, for example, a temperature signal, or a pressure sensor signal. These are fine viewed with a meter. However, signals which are dynamic in nature, in particular, those related to crank position, or fast changing sensor values, make much more sense when viewed on a scope. To give a specific example, think of a crank position sensor signal. View this signal on a meter, and you'll just see a constant or slightly wavering voltage, but, measure this with a scope, and you will see all the details of the edges relating to crank position, and the missing tooth relating to a TDC reference mark. A signal such a this needs a scope measurement to really be able to check the signal quality during operation - using a meter, you would be hard pressed to diagnose any run-time faults. Originally, scopes were used in labs, for analysing signal wave forms they were analogue devices, similar in many ways to the old fashioned television, complete with a cathode ray tube. Basic operation was that an electron beam was fired at a cathode screen, drawing a straight line across the screen at regular intervals according to the scope set up. This line was projected across the screen and displayed (delayed) until it was redrawn - this process being cyclic, with the screen acting as a kind of very short term memory. The beam would be deflected by the applied signal to be measured, so, imagine a pulse - this would deflect the beam and the line drawn on the screen would show the pulse pattern over time as the line is drawn across the screen. The disadvantage of this type of device is that it is difficult to store or capture a waveform, the only possible method is to literally photograph the screen image - not ideal. Fig 1 - A typical analogue lab scope - at one time, state of the art kit! A digital sampling device (in our case a scope, but there are others in many different applications) uses something called an analogue-to-digital converter (often abbreviated to ADC) to convert the target wave form or signal to something that can be stored or manipulated by a digital signal processor or computer. The ADC samples the applied input signal at fast, regular intervals, each sample creates a measurement value, a number, that can be resolved into a binary value (1's and 0's) then stored in electronic memory. In this way, we end up with a string of numbers, in memory, which represent the waveform. However, there is a critical consideration here! In between sample points, the signal has not been measured, so, between 2 samples we simply draw a straight line (known as interpolation), but we have to be certain that we sample enough points to capture the full signal detail. if you don't sample quickly enough, some detail between could be missed completely (a phenomena known as aliasing) so an important consideration when setting up the scope is sampling frequency - are you sampling fast enough to capture the detail of the signal? Of course, you could just sample every signal as fast as your device will allow, but over sampling uses up valuable memory space, and adds no value because measurement files will be unnecessarily large to manipulate and store. So, this part of the set-up is a compromise that you will need to consider and get right! In addition, you need to tank about the vertical resolution - the scope has a certain input range ( say -10 to +10 volts). Within this range, there are a certain number of 'bits' (or input steps) available for the digitisation process, effectively this is the minimum signal change width that the scope can record between samples on the vertical axis. This is important for similar reason to the correct sample rate, you need to use as many available bits to digitise your signal, otherwise the conversion will be poor and detail will be lost - this signal will appear 'blocky' with steps instead of a nice smooth curve during dynamic changes of the signal. Once you have got your sampling and input range setting correct, relative to the signal range you are measuring, then you should be able to enjoy measuring good quality data, which is excellent information to assist with many diagnostic procedures. Remember to always have a good ground connection/reference on the input channel to avoid signal noise and cross talk. Make sure that you use the correct type of probe for the signal that you want to capture, also, make sure that you zero/calibrate the input channel before any real measurement - just to be sure that you'll capture what you want, with the correct amount of detail. A useful tip is to make sure that your scope is always on hand, primed and ready for use - not tucked away somwhere that it is an effort to be able to use it. 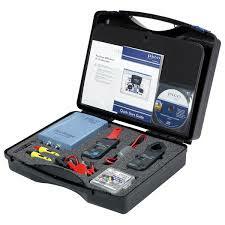 Then, it is easy to use it to measure and store signals from known good components or systems. In this way, you can build up your own reference library of 'good' data, that you can use in diagnostic procedures. Over time you'll build up a 'big data' set of information, that you can use for comparison, when you are looking to locate a real fault - this can be an invaluable timesaver!